A major in biology is the traditional undergraduate preparation for students planning to pursue career interests in the biological or health-related sciences. Although the majority of majors ultimately pursue careers in the life sciences, a significant number of individuals with other career interests choose the major within the liberal arts context. The department’s majors are found today in positions of responsibility in many fields outside the life sciences, including business, theology, law, and the performing arts. Biology majors who are interested in pursuing a career in elementary or secondary school teaching should refer to Educational Studies . Students expecting to attend graduate or professional schools are reminded that these schools frequently recommend or require calculus, statistics, computer science, chemistry (typically through organic), and a year of physics as cognates to the biology major. The Oswald T. Avery Award — awarded by the department in honor of Dr. Oswald T. Avery, who graduated in the class of 1900 and subsequently made major research discoveries in molecular biology at the Rockefeller Institute. The award is given each year to one or more senior majors in molecular biology chosen by the faculty on the basis of academic achievement, academic development, research project, and departmental service. The Raymond J. Myers Award — awarded by the department in honor of Professor Raymond J. Myers, who taught biology at Colgate from 1934 to 1972. The award is given each year to one or more senior majors in biology chosen by the faculty on the basis of academic achievement, academic development, research project, and departmental service. The Christopher Oberheim Memorial Award — established as an award for a biology student chosen by the faculty on the basis of showing great promise in research, as evidenced by previous work. An incoming student who submits an AP grade of 4 or 5 will receive credit for BIOL 101. This course can be counted as a 100-level elective course. Students with AP credit are encouraged to enter the department’s curriculum with BIOL 181 or BIOL 182. With the approval of his or her instructor in a course numbered BIOL 470 or higher, a student may be allowed to stand for honors or high honors in the department. Honors in biology requires an overall GPA of 3.30 in courses counted toward the major, an oral presentation to the department, a review paper, and a research paper submitted to the research adviser based on at least one term of research in a course numbered BIOL 470 or higher. High honors requires an overall GPA of 3.60 in courses counted toward the major, an oral presentation to the department on the student’s research, and a two-chapter thesis submitted to the biology department based on at least two terms of research in biology courses numbered BIOL 470 or higher, or their equivalent. The awarding of honors and high honors will be decided by the faculty in consultation with the adviser and will be based on the quality of the research project, the thesis, and the oral presentation. Research projects submitted for honors or high honors must be carried out on campus or on the NIH study group. A student may be allowed to stand for honors or high honors in the department following approval of their research adviser. Both honors and high honors in biology require an overall GPA of 3.30 in courses counted toward the major, a demonstrated deep commitment to research in biology, an oral presentation to the department, a review paper, and a research paper submitted to the research adviser and two committee members. The research project evaluated for honors must be based on at least one (honors) or two (high honors) semesters or summers of research. The awarding of honors and high honors will be decided by the faculty in consultation with the adviser and honors committee and will be based on the demonstrated commitment to research and the quality of the research project, the thesis, and the oral presentation. Research projects submitted for honors or high honors must be carried out on campus or on the NIH study group. Transfer credit may be granted to incoming first year students who have achieved a score on an international exam (e.g., A-Levels, International Baccalaureate) that indicates a level of competence equivalent to the completion of a specific course in the department. Requests should be directed to the department chair. Any such credit may not be used to fulfill the university areas of inquiry requirement, but may count towards the major. A maximum of two biology course credits transferred from other institutions may be an applied toward major requirements. Students who intend to transfer a course must supply the department chair with a course description and a course syllabus for evaluation prior to taking the course. Students transferring to Colgate with upper-class standing may petition the department for permission to transfer a third course. 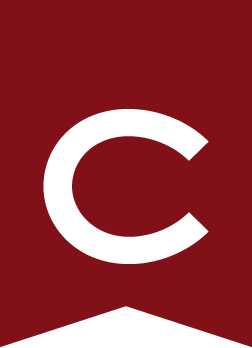 Courses taken on Colgate Study Groups are approved in the same manner as other non-Colgate courses, but they are not included in the total transfer credit limit. Courses transferred into the major from other institutions cannot be counted toward the lab-course requirement. The Department of Educational Studies offers a teacher education program for majors in biology who are interested in pursuing a career in elementary or secondary school teaching. Please refer to Educational Studies . The major in molecular biology is designed for students who are interested in biology at the molecular level and who wish to take courses in both biology and chemistry. For further information, contact Professors Belanger, Hagos, Holm, Hoopes, Meyers, Taye, or Van Wynsberghe. Program requirements are described under Molecular Biology Major . This major is affiliated with the Environmental Studies Program (ENST) and is designed for students interested in biology and the environment. For further information, contact Professors Cardelús, Frey, Fuller, Ingram, McCay, or Watkins. Program requirements are described under Environmental Biology Major . This topical major is offered with the cooperation of the geology department through the Division of Natural Sciences and Mathematics. This program is particularly applicable for students who wish to take courses in both biology and geology. For further information, contact Professors Fuller or McHugh. Program requirements are described under Natural Sciences, Topical Concentration: Marine Science - Freshwater Science Major . This minor is affiliated with the Department of Mathematics and is designed for students interested in how mathematics can be applied to the study of living systems. For further information, contact professors Ay, McCay, or Robertson. Minor requirements are described under Mathematical Systems Biology Minor . An opportunity for junior majors in environmental biology to expand their environmental studies at the University of Wollongong, one hour south of Sydney. An opportunity for junior science majors to study at the University of Wollongong, one hour south of Sydney. An opportunity for juniors and seniors interested in careers in the biomedical sciences to spend a research-intensive semester at the National Institutes of Health in Bethesda, Maryland. An opportunity for sophomore and junior natural science majors to study at the National University of Singapore while being immersed in the rich culture and history of Southeast Asia. An opportunity for junior science majors to study at Cardiff University. The biology department also offers international extended study courses and encourages participation in Colgate approved off-campus study programs. For more information, see Off-Campus Study .